Toronto, Canada is an up and coming city, and by up and coming I mean exponentially growing. It is third in the world for the most theatre productions after London and New York City. West Queen West (a district in Toronto) has been ranked as the second hippest district in the world by Vogue. That along with its stunning economic growth, Toronto has been named of the top travel destinations of 2015 by Lonely Planet. 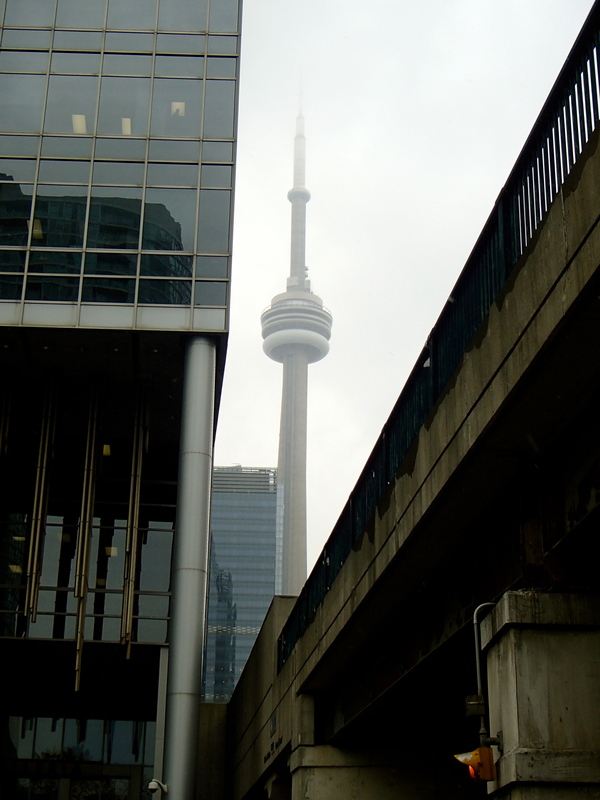 I have been wanting to travel to Toronto for a while now; it was even on my 2014 goal list. I finally made the (not so long) trek out to Toronto for a couple days of urban exploring. 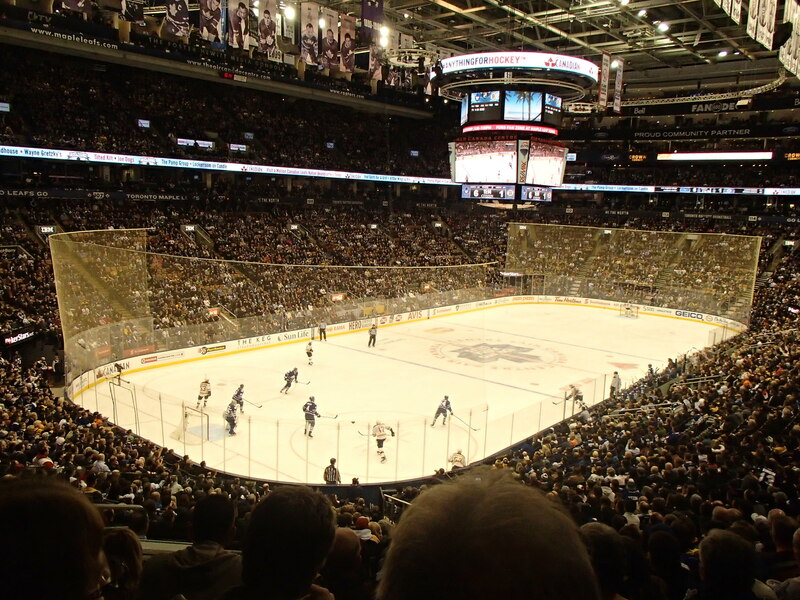 Attend a hockey game, specifically a Toronto Maple Leafs game. It was a spontaneous decision for me to go to the game, but I am sure glad I did. It was a Tuesday evening, and I was sitting in a bar, drink in hand. I noticed the game was on TV (only a few minutes in), and I wanted to go. I made a 10ish minute walk to the Air Canada Arena, and found someone selling tickets outside of the door. A few minutes into the game, you can get a great deal. I bought one $220 ticket for $80. The atmosphere is insane within the arena. Canadians do love their hockey, eh? Drink great beer. Along with everything else, Toronto is up and coming on the craft beer scene. I only made it to five of the twenty-eight breweries in Toronto, so there is plenty left to be explored . 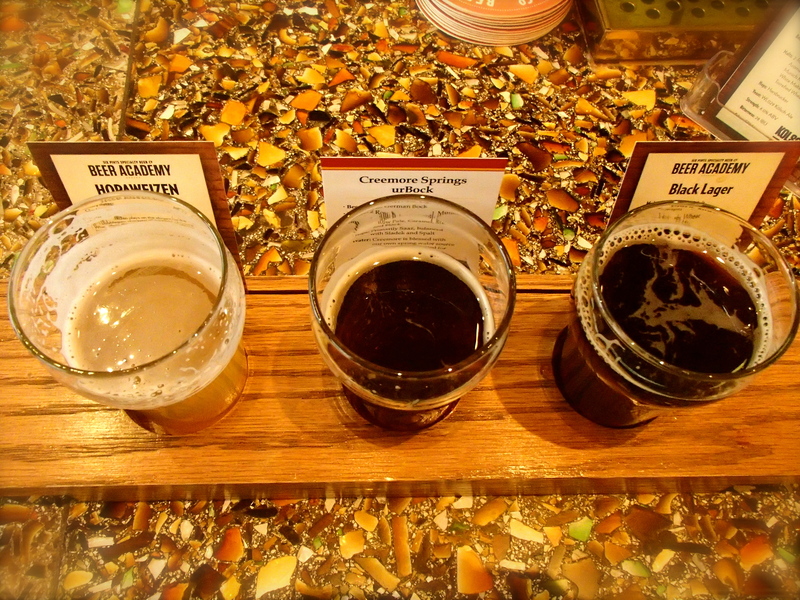 The beers I did have were great tasting. I was especially happy with Beer Academy. West Queen West. As I mentioned West Queen West is a district within Toronto that has been ranked as the second hippest district by Vogue. While chatting with someone at the bar, they suggested that I go check out the area. Apparently, I was looking a little “hipster” at the time because he described it as “you know, it is where all the people that wear hats and such hang out.” The district is full of unique shops and cafes. If you choose to go, I suggest going in the late afternoon or early evening. The Distillery District. Toronto’s distillery district is North America’s largest and best preserved collection of Victorian Industrial Architecture. It was once the site of Gooderham and Worts Distillery. Prohibition and World War I had dire effects on the distillery’s operations. It was closed for decades, but during the 90’s the area was commonly used for filming. It became the second largest film location outside of Hollywood. 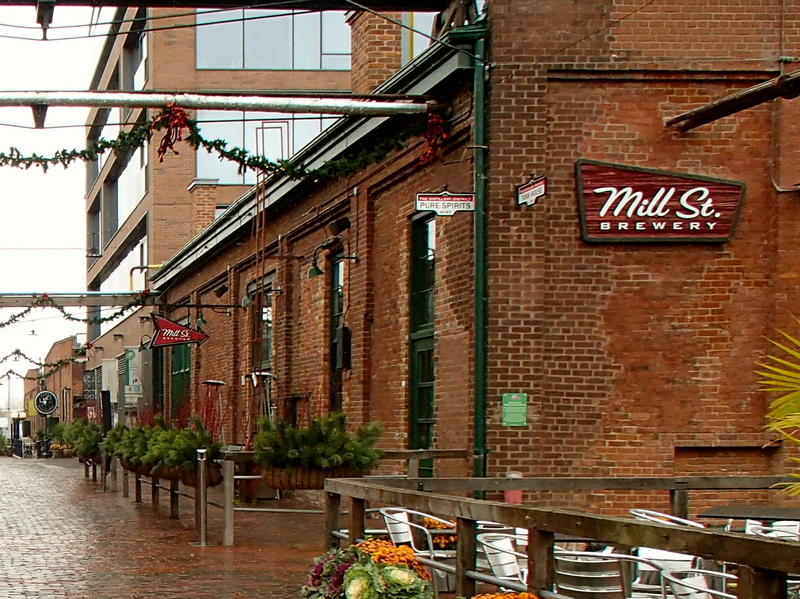 Today, the Distillery District is a picturesque downtown area with an old time feel. There is a selection of shops, restaurants, and patio bars. I definitely suggest you making this a stop on your list while in Toronto. Hop over to the Toronto Islands. Just a ferry ride away, are the Toronto Islands. In addition to the beautiful Toronto Skyline, the island offers a variety of recreational actives including Centerville (a children’s amusement park), several swimming beaches, one clothing optional beach and boating. The ferry does (or doesn’t run) according to the weather, so don’t plan on getting a ride to the ferry in mid-December. 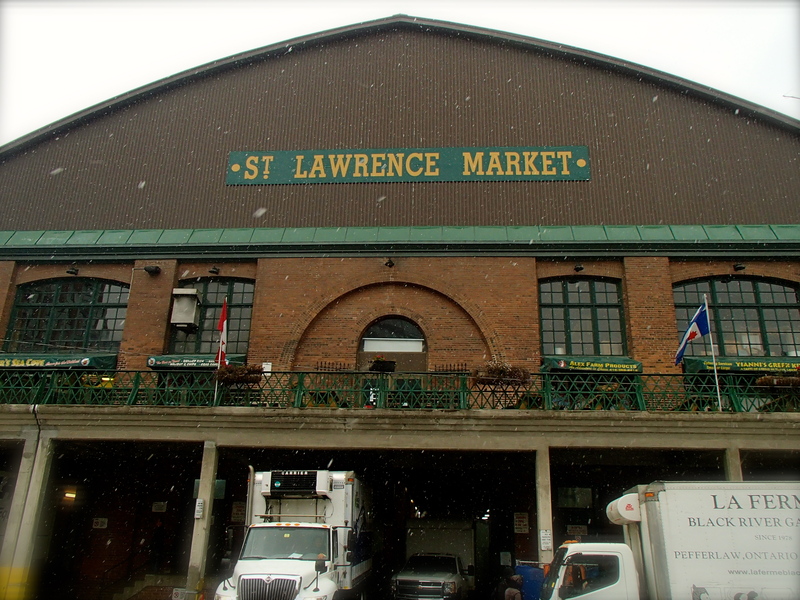 St. Lawrence Market If you are looking for a selection of fresh food, an array of cheeses, wines from all over the world, or just wanting to take a peak check out St. Lawrence Market. The south Market is open every day of the week except Sunday and Monday. There is also an outdoor farmers market on Saturdays. I was beyond happy to find a “pastel de nata,” a sweet treat I haven’t had since I was in Portugal. The only thing missing was the ocean view. Steam Whistle Brewery. As I already mentioned, Toronto is up and coming on the beer scene, one of these breweries is Steam Whistle. 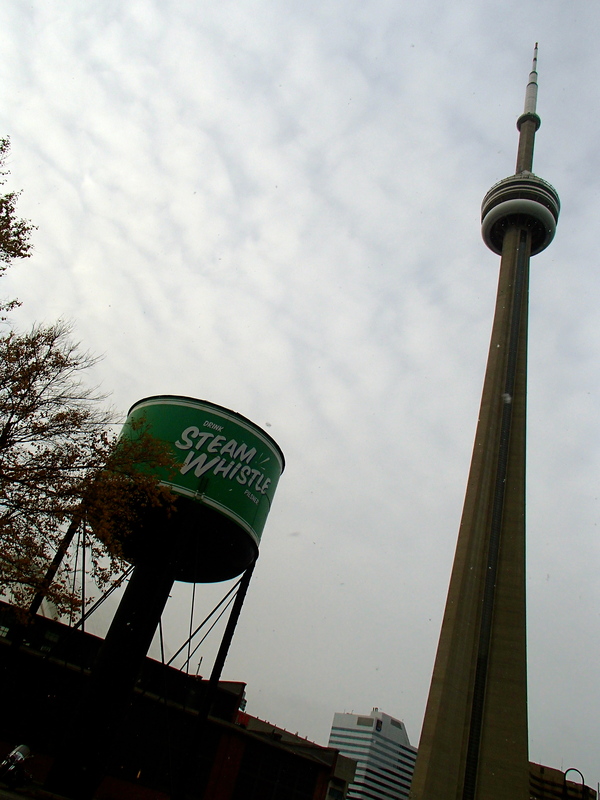 Steam Whistle brewing company is located right downtown in a historic building. There are tours daily and get especially busy during the summer season, so make sure to book ahead! I was pleasantly surprised by the community feel of the brewery. CN Tower. While I am too cheap to pay $32 to just have a view of the city from 346 meters, I considered paying $175 to walk the full 360* around the tower outside, the edge walk. So, if you are feeling daring (and have cash to spend), why not suspend yourself from 346 meters above the city of Toronto? Tags: alcohol, beer, canada, canadian, food, historic, history, hocky, northamerica, toronto, tourism, travel, wanderlust. Bookmark the permalink.